We often see patients with varying degrees of and medical histories of TMJ syndrome or TMD (Temporomandibular joint dysfunction). 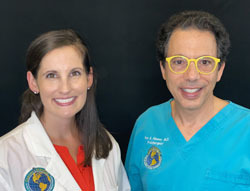 They tell us about how their TMJ developed, whether it was from extensive dental work, a traumatic injury suffered in an accident, or other reasons such as a history of teeth grinding that has lead to a degenerative joint disease of the jaw. They also tell us about a lot of treatments that did not work for them. In this article we will discuss these treatments and the possible solution regenerative medicine injections may offer. Someone who has been suffering from long-term TMJ problems, at some point starts to realize that their challenges are challenges far beyond a disc or an TMJ appliance problem. When this person then has a failed surgery, the challenges they faced become that much greater and their jaw problem that started out as an annoyance, has turned into years of searching for anything that will help them with a new cascade of symptoms beyond opening their mouths without pain. Over the course of this article we are going to start making connections to a different approach to your treatment. Our connection is that perhaps your standard care treatments did not help you because the problems caused by degenerated and damaged TMJ ligaments were not addressed. In 26 plus years experience in helping patients with TMJ, we have found undiagnosed, damaged ligaments to cause jaw instability and excessive, unnatural mobility in the jaw joint. This causes grinding, disc displacement, and osteoarthritis. TMJ is a problem. The medical community is responding by pumping out a lot of research. Let’s look at some of these new studies to see what is benefiting patients and what is not. Steroids / Anti-inflammatories – research questions effectiveness and worthiness in helping TMJ patients. In September 2018, in the Journal of oral rehabilitation, (1) researchers from leading medical universities in Sweden looked at steroid injection, specifically Methylprednisolone as a means to help alleviate TMJ patient symptoms. In this study, the researchers looked at inflammation as a symptom problem in the TMJ. Clearly, they hypothesized, an anti-inflammatory would help with the inflammatory pain the patient was suffering from. What they found was the exact opposite, the steroid injection made the pain worse. In this study 54 patients were randomly assigned to single-dose injection with methylprednisolone (27 patients) or saline (27 patients). At 4 week follow up after injection, the researchers found little difference in pain relief in the steroid group and the saline group. Also in September 2018, in the Hungarian Medical Weekly, (2) researchers at the world renowned Semmelweis University’s Faculty of Dentistry published their findings comparing hyaluronic acid injections and steroid injection. Comparing the two treatments, three hyaluronic acid injections were significantly more effective than cortisone in relieving patients symptoms. A comparison of the outcomes of four minimally invasive treatment methods for anterior disc displacement of the temporomandibular joint. Why didn’t they help? As the researchers point out, the purpose of this study was to compare the effectiveness of four non-surgical conservative treatment methods for temporomandibular displacement disorders. We are going to examine the phenomena of effusion and swelling in this study and compare it to another new study. splint therapy, (various devices put into the mouth to stabilize the jaw joint). medical therapy, (a medical treatment possibly involving arthroscopic procedures). and low-level laser therapy (LLLT). LLLT stimulates the immune responses to heal joints by themselves. Magnetic resonance imaging (MRI) was performed before treatment and at the 1-month follow-up. Patients were followed up after treatment for 6 months. Mouth opening increased and pain scores decreased at 1, 3, and 6 months after treatment in all groups. No statistically significant difference in the improvements in clinical symptoms was observed between the groups. Note: So all these treatments worked well, except in our opinion the very ominous problem of effusion. Back to the research and why we consider this ominous. A positive correlation was found between pain and TMJ effusion. A significant positive relationship was also found between internal derangement (structural problems) and effusion. It was determined that the effusion demonstrated on MRI was associated with pain. Although the symptoms improved after treatment, joint effusion did not show any decrease in the 1-month follow-up MRI. The aim of their study was to investigate cytokine levels in the masseter muscle (inflammation of the jaw muscle), and the response to tooth-clenching. The response the researchers were looking for was if tooth clenching caused inflammation and accompanying pain, fatigue and psychological distress in patients with temporomandibular disorders (TMD) myalgia (pain). What they found was when the patients clenched their teeth, already elevated levels of inflammatory markers increased in the jaw muscle, BUT, there was no correlation between this increased inflammation and the jaw muscle pain and fatigue the patients were experiencing. For one thing, go to the first study we cited in this article, steroids made the TMJ pain worse. Subclinical means something not detected or understood. There is a chronic inflammatory response because something is not healing. In our experience that something is that the entire TMJ is in degenerative disease. This is a problem of whole jaw joint disease and treatments must address the entire jaw joint not a TMJ disc. TMJ and Joint Hypermobility Syndrome. This could be you all along and undiagnosed. We are going to make some fascinating connections here to show that TMJ and jaw related pain are much more than TMJ disc degeneration in many patients. In this first study, research shows that it is not only a problem of the TMJ disc but a problem of jaw instability. Like any joint, excessive movement in the Temporomandibular joint and/or chronic subluxation/dislocations of the Temporomandibular is caused by weakness of the connective tissue that hold the joint in place. In the jaw important connective tissue include the Temporomandibular ligament, and the stylomandibular ligament, and sphenomandibular ligament which provide limitation of mandibular movements. In a late 2015 publication date, national defense and university medical researchers in Taiwan combined to release their research finding in the journal Clinical oral investigations (5) on the TMJ/TMD – Joint Hypermobility Syndrome connection. What is Joint Hypermobility Syndrome? It is a common musculokeletal disorder that makes your joints too flexible. For some people this is very advantageous, especially in gymnastics, dance, and swimming. For others, it leads to chronic dislocations. The research aimed to investigate the risk factors of temporomandibular disorders, including disc or non-disc-related disorders, and Joint Hypermobility Syndrome retrospectively and to analyze the association between the two conditions. What is so fascinating about this study in that in patients who had TMJ and were found to have Joint Hypermobility Syndrome, 9.52% of JHS patients have disc disorders and 90.48% of JHS patients do not. In 9 out of 10 patients with TMJ diagnosed patients with Joint Hypermobility Syndrome – pain does not come from degenerated discs. So what does this mean to you? The source of your TMJ pain does not need to involve a displaced disc it can be weakness of the jaw/TMJ ligaments. Any treatment should involve a determination of ligament weakness. As we will see below, degenerative or displaced disc is one part of a diseased joint environment. All the parts must be treated to give the patient the best chance of successful outcome. In 2007, researchers here at Caring Medical published our findings in the medical journal Practical Pain Management that “Many of the subjective symptoms of pain, stiffness, and crunching sensation in patients with TMJ dysfunction were reduced greater than 50% in 92% of the prolotherapy patients.”(8) We will examine this research below in greater detail. So back then we were able to show at least 50% reduction in pain in more then 9 out of 10 patients with simple dextrose Prolotherapy. What has happened in the ten years since we first published this study? More good results and a better understanding within the medical community of the complexity of TMJ/TMD. In our article on Cervicogenic dysphagia, swallowing difficulties as being caused by problems in the neck and brain, we explored research that noted that TMJ patients and cervical neck instability patients have difficulties in swallowing. TMJ and neck problems have long been linked together, however, it is not often that a patient will report to us that their previous health care providers made this link and offered treatments addressing both concerns. In the following research the links and the treatments for both TMJ and cervical neck instability point to a problem in the neck. In many patients we see with primary problems related to neck pain and cervical instability we see problems of TMJ. In many patients that we see with problems of TMJ, we see cervical neck pain. Surprising despite the research suggesting the connection, many patients were not made aware that their jaw pain could be a problem originating in the neck. In the medical journal Clinical Oral Investigations, (9) oral surgeons in Belgium made a connection between TMJ and cervical instability. They conducted a study looking for possible correlations between clinical signs of temporomandibular disorders (TMD) and cervical spine disorders. Thirty-one consecutive patients with symptoms of TMD and 30 controls underwent a standardized clinical examination of the masticatory system, evaluating range of motion of the mandible, temporomandibular joint (TMJ) function and pain of the TMJ and masticatory muscles. Afterwards subjects were referred for clinical examination of the cervical spine, evaluating segmental limitations, tender points upon palpation of the muscles, hyperalgesia and hypermobility. In this study, the doctors compared the mandibular stress distribution and displacement of the cervical spine. In simple terms, how TMJ instability and hypermobility of the jaw negatively effected the cervical spine. What? The TMJ altered your posture by stressing your cervical spine? Isn’t posture a problem of swallowing difficulties? Isn’t posture a problem of everything? 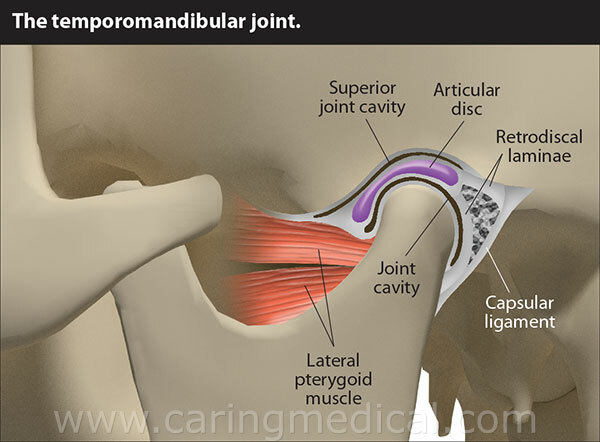 The temporomandibular joint connects the mandible (lower jaw) to the part of the skull known as the temporal bone. The joint allows the lower jaw to move in all directions so that the teeth can bite off and chew food efficiently. Temporomandibular joint ( TMJ ) syndrome occurs when the joint, muscles and ligaments involved do not work together properly, resulting in pain. Temporomandibular joint syndrome and TMD or TemporoMandibular Disorders have been demonstrated to be caused by ligament weakness in many patients, often as a result of clenching the jaw or grinding the teeth, sleeping position or a forward positioned mandible (lower jaw). Malocclusion, or a poor bite, places stress on the muscles and may also lead to temporomandibular joint syndrome, as may an injury to the head, jaw or neck that causes displacement of the joint. If left untreated, jaw osteoarthritis can result. surgical cauterization, which treats the bones with a radio frequency wave destroying the treated area. Although the pain is temporarily eliminated, however vital structures are also destroyed in the process. The problem with any of these approaches is that they do not repair the weakened TMJ ligament and, thus, does not alleviate the chronic pain that people with this condition experience. And thus, most dentists and oral surgeons believe that TMJ cannot be cured and the best hope is for temporary symptom relief. A standard practice is the use of steroids and anti-inflammatory medications. However, in the long run, these treatments do more damage than good. Cortisone shots and anti-inflammatory drugs have been shown to produce short-term pain benefit, but both result in long-term loss of function and even more chronic pain by actually inhibiting the healing process of soft tissues and accelerating cartilage degeneration. Treating the whole joint. Comprehensive Prolotherapy for TMJ. In this section we will discuss how to turn a degenerative TMJ environment into a healing environment through the use of Comprehensive Prolotherapy. The basic concepts are discussed in the video above. 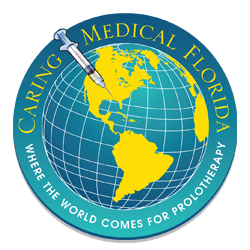 Prolotherapy is the injection of a simple sugar, dextrose. The idea is that the dextrose will cause a strengthening and rebuilding of the soft tissue holding the jaw in place. Strengthened soft tissue, i.e, ligaments, will stabilize the jaw joint and pull things back into place and reduce destructive joint forces in the jaw. In March 2019, doctors tested this idea. Publishing in the journal Mayo Clinic proceedings (13) these doctors from the University of British Columbia, University of Missouri-Kansas City, School of Medicine, the University of Wisconsin School of Medicine and Public Health, and the Chinese University of Hong Kong announced these findings in their study to assess the LONG-TERM effectiveness of dextrose prolotherapy injections in study participants with temporomandibular dysfunction. 3 monthly Prolotherapy injections (20% dextrose/0.2% lidocaine or 0.2% lidocaine) followed by as-needed dextrose/0.2% lidocaine injections through 1 year. Primary and secondary outcome measures included a 0 to 10 Numerical Rating Scale score for facial pain and jaw dysfunction; maximal interincisal opening (MIO) measured in millimeters, percentage of joints with 50% or more change (improvement) in pain and function, and satisfaction. and less maximal interincisal opening. and improved maximal interincisal opening. Hypermobility disorders of the Temporomandibular joint (TMJ) can be treated by both conservative and surgical approaches. Conservative approaches should be considered as first line treatment for such disorders. Prolotherapy with 25 % dextrose being injected into the posterior pericapsular tissues is one such treatment modality with favorable outcomes. In their study, the researchers examined 23 patients suffering from either chronic recurrent dislocation or subluxation of the TMJ who were treated with the single injection technique prolotherapy with 25 % dextrose into the pericapsular tissues along with auriculotemporal nerve block. Overall success rate in the study was 91.3 % (21/23) with a minimum follow up period of 13.9 months. Number of successfully treated patients requiring one injection was 7 (30.4 %), two injections was 8 (34.7 %) and requiring three injections was 6 (26.1 %). There were no permanent complications. In a December 2018 study in the Journal of oral rehabilitation, (15) military Oral and Maxillofacial Surgeons in India proposed that dextrose prolotherapy may cause significant reduction in mouth opening and pain associated with TMJ hypermobility. In Prolotherapy research, doctors say that they see appreciable improvements in the number of episodes of dislocation and clicking after Prolotherapy treatment. In supportive research doctors at the University of Karadeniz Technical University (17) say that they see appreciable improvements in the number of episodes of dislocation and clicking after Prolotherapy treatment. The overall success rate, defined as the absence of any further dislocation or subluxation for more than 6 months, was 91%. and 4 (10%) needed a third injection. All patients tolerated the injections well. The modified dextrose prolotherapy is simple, safe, and cost-effective for the treatment of recurrent dislocation of the TMJ. Sixty-one patients with symptomatic hypermobility of the TMJ were each given four sessions of intra-articular and pericapsular Prolotherapy injections six weeks apart. Each injection comprised 10% dextrose/mepivacaine solution 3ml. and frequency of locking were measured before treatment (T1), during treatment (T2) (just before the third session of injections), at the short-term follow-up (T3) (three months after treatment), and at the long-term follow-up (T4) (1-4 years after treatment). Condylar translation (movement of the TMJ joint) and osseous (bony) changes of each joint were evaluated at T1 and T4 using tomography. The pain scores and clicking had decreased significantly by T3. Linear tomograms of each joint at T1 and T4 showed no alteration in the morphology of the bony components of the joint, and at T4, tomographic open views of all joints showed condylar hypertranslation. Doctors at Ordu University in Turkey published in The Journal of alternative and complementary medicine suggesting that Prolotherapy and aspiration (Arthrocentesis) provided significant relief for TMJ patients. In this October 2017 study, 10 adults with disc displacement and painful, hypermobile TMJ were selected. Arthrocentesis and Prolotherapy were consecutively performed using a 30% dextrose solution that was simultaneously injected into five areas: posterior disc attachment, superior joint space, superior and inferior capsular attachments, and stylomandibular ligament. Scoring tests were used to assess the maximum mouth opening, clicking sounds, pain, and subluxation of the TMJ. Patients with rheumatoid arthritis and parafunctional habits such as teeth clenching and grinding and biting of the cheeks or any other objects and those who had undergone surgery were excluded from this study. The ten patients, 7 women and 3 men average age 36 received a single treatment session of combined arthrocentesis and prolotherapy at the same office visit. Subluxation frequency and pain significantly decreased after the first week of treatment. Subluxation also decreased at the 3-month follow-up. In the research mentioned above from our Caring Medical research team and published in 2007 our doctors reported on successful dextrose Prolotherapy for patients with chronic neck pain. In this study, fourteen patients who suffered from TMJ pain for an average of 5.4 years and had seen, on average, four medical doctors—including half who were told that no other treatment options were available. 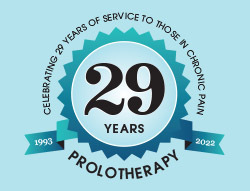 These improvements persisted through follow up at eighteen months after the conclusion of prolotherapy treatments. Prolotherapy is a safe and effective natural medicine treatment for repairing tendon, ligament and cartilage damage. In simple terms, Prolotherapy stimulates the body to repair painful areas. It does so by inducing a mild inflammatory reaction in the weakened ligaments and cartilage. 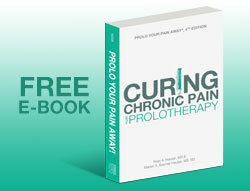 Since the body heals by inflammation, Prolotherapy stimulates healing. Prior to prolotherapy, 56% of patients reported feelings of depression and 64% reported feelings of anxiety. After treatments, only 28% reported depressed feelings and 36% reported feelings of anxiety. Patients reported that on average 86% of the improvements in depression and anxiety have at least somewhat continued. Seventy-eight percent of these patients reported 75% continuing improvement at the time of follow-up. Chronic pain is the overwhelming reason that patients with TMD seek treatment. TMD can associate with impaired general health, depression, and other psychological disabilities, and may affect the quality of life of the patient. include pain-related disorders (e.g., myalgia, headache attributable to TMD, and jaw joint pain) as well as disorders associated with the TMJ (primarily disc displacements and degenerative disease). As peripheral mechanisms (nerve and pain signals) most likely play a role in the onset of TMD, a detailed muscle examination is recommended. In patients where TMJ symptoms are more advanced. We may also use Platelet Rich Plasma therapy in addition to the Prolotherapy treatments. Here we extract a patient’s blood and spin out the healing platelets and growth factors and inject that into the jaw/mandible area. A 2015 study in the Journal of oral and maxillofacial surgery (22) shows emerging evidence suggested platelet-rich plasma (PRP) might be of assistance in the treatment of degenerative conditions of the jaw joint. In this study, PRP and hyaluronic acid treatments in temporomandibular joint (TMJ) osteoarthritis patients were compared over a long-term follow-up. A total of 50 patients with TMJ-osteoarthritis were enrolled in the study (29 women and 21 men, age range 31 to 49 years, mean age 38.6). In group I, 25 patients received 3 injections of 1 mL of PRP. In group II, 25 patients received 3 injections of 1 mL of low-molecular-weight hyaluronic acid. The hyaluronic acid group showed significant improvements at 1 and 3 months. However, at At 6 and 12 months, the PRP group exhibited better performance compared with the hyaluronic acid group in terms of the recurrence of pain and joint sounds. The PRP group performed better than the hyaluronic acid group in the treatment of TMJ-osteoarthritis during long-term follow-up in terms of pain reduction and increased interincisal distance. Researchers at the Department of Oral and Maxillofacial Surgery, Jaipur Dental College, in India published their findings in the National journal of maxillofacial surgery (23) of their assessment of the effectiveness of PRP injections compared to hydrocortisone with local anesthetic in the conservative management of anterior disc displacement with reduction. If you have been diagnosed with TMJ you know that this is the displacement of the TMJ disc and the clicking noises that accompany the displacement. While we do offer stem cell therapy for our patients, this is not a treatment we often utilize as a first line treatment. The documented results of the success of simple dextrose Prolotherapy has shown us this treatment is effective. Many people ask us about stem cell therapy. After an examination and a consultation we discuss the treatment options we can offer. If stem cell treatment is warranted then we would discuss our program with the patient. Stem cell therapy has become a very popular treatment option.Research is coming in. National University of Singapore doctors found that they could regenerate the cartilage of the TMJ joint with a stem cell therapy solution and have recently released their report on stem cell therapy for TMJ and TMD. Here are summary facts on their paper. Temporomandibular Disorders (TMD) represent a group of musculoskeletal and neuromuscular conditions involving the temporomandibular joint (TMJ), masticatory muscles and/or associated structures. They are a major cause of non-dental related face and jaw pain. The most common type of TMJ disorders involves displacement of the TMJ articular disc that precedes progressive degenerative changes of the joint leading to osteoarthritis. Do you need help about our Temporomandibular Joint Syndrome treatments?